Hand-crafted beer, boutique wines, hard cider and distilled spirits will flow at the inaugural CrushBrew Craft Beverage Festival, taking place February 19-20, 2016 on the Scottsdale Waterfront and Soleri Bridge in Old Town Scottsdale. The festival will feature wine selections from some of Arizona’s top boutique wineries, including Caduceus Cellars & Merkin Vineyards, Page Springs Cellars, LDV Winery, Aridus Wine Company, Sonoita Vineyards. Additionally, boutique vineyards from California, Oregon and Washington and beyond will be featured including St. Barthelemy, Masquerade Wine, Peachy Canyon, Romeo Cellars and more. Attendees will also have the unique opportunity to meet representatives from the passionate distilleries of Deep Eddy Vodka, Woody Creek and Diamond Distillery responsible for driving the craft spirit movement. Featured Craft Brewers from Arizona, Colorado, California and Oregon will be hand to guide attendees through craft beer tasting experiences. Throughout the festival, attendees can vote in the People’s Choice Awards for their favorite craft beverage in each category: wine, craft beer, distilled spirits and hard cider. There will be three winners in each category: gold, silver, and bronze and each will receive a cash prize up to $2,5000 and recognition onCrushBrew.com. In addition to craft beverages, the festival will play host to the “Best Wood-Fired Pizza on Two Wheels” competition, featuring up to 10 of the regions top pizza masters. Festival goers will have the opportunity to taste samples from each chef before casting their vote to decide which creation is worthy of the winner-takes-all, $2,500 grand prize. The CrushBrew Craft Beverage Festival will benefit edARTSaz and Pipeline Worldwide. Two non-profit 501(c)(3) organizations based in Phoenix, Arizona. edARTSaz support Education and Arts programs in the State of Arizona. Pipeline Worldwide aims to create connections between people and projects that serve those in the greatest need, both in the US and in developing countries around the globe. To learn more, please visit pipelineworldwide.org. Tickets will be available for purchase starting December 1, 2015. For additional information as it becomes available, please visit www.crushbrewfestival.com. ABOUT CRUSHBREW CRAFT BEVERAGE FESTIVAL: CrushBrew Craft Beverage Festival is a one of a kind festival where craft beer, boutique wines, hard cider, and distilled spirits share center stage. Taste the latest trends in handcrafted beers, enjoy wines produced by small, undiscovered vineyards from around the world, meet the passionate distillers driving the craft spirits movement, and more. The festival will also feature samples from the area’s top pizza masters, as they compete for the title of “Best Wood-Fired Pizza on Two Wheels”. 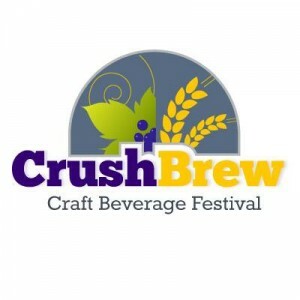 For more information as it becomes available, please visitwww.crushbrewfestival.com.